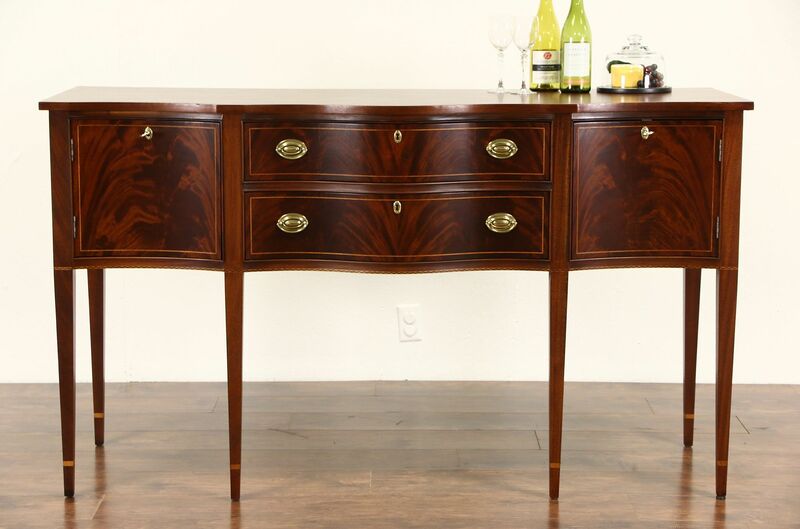 Signed "American Masterpiece Collection by Hickory," this elegant sideboard, server or console is about 15 years old. The renewed finish is in excellent condition on mahogany with matched flame grain panels and inlaid banding. Doors have working locks, drawers have solid brass embossed pulls on this American made vintage furniture. The front is a graceful serpentine curve. Dimensions are 66" long, 24" deep and 38" tall.